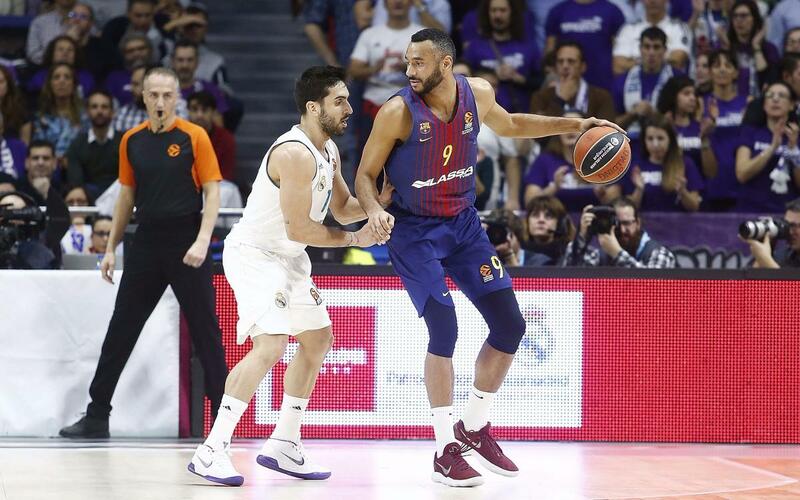 Barça Lassa played their first Euroleague Clásico of the season on Thursday night, in a losing effort against Real Madrid. The closely-contested game ended 87-75, and was decided primarily by small details in the third quarter -despite Sito Alonso's side battling until the end. The game began with both teams converting few of their chances and Barça Lassa controlling the defensive boards. They went ahead for the first time in the opening period when they took the score to 10-11. Pau Ribas sank the first three-pointer for the visitors in the second quarter, as the game continued to be evenly matched until a 11-2 run for Madrid. A five-point spree from Huertel kept Barça Lassa in the contest, and they went into the break just two points down on the scoreboard (40-38). On the restart, a run of eight unanswered points from Madrid put them 48-38 up. Whilst Barça Lassa were fighting hard to regain ground, a lack of shooting accuracy made them suffer in the third period. A Doncic triple on the buzzer took the score to 68-52. A final quarter fightback, spearheaded by a 2-11 partial, cut the gap significantly. Barça Lassa got to within nine points (80-71, min 35), before eventually losing 87-75. The defeat takes the Blaugrana's record to four wins and eight losses in Euroleague competition this season. Barça Lassa's next challenge comes this weekend in the Liga Endesa, against Gran Canaria at the Palau Blaugrana (12:30pm CET).